There are two kinds of shortcut in iOS 12. One is the app, along with the workflows you build in that app. The Siri Shortcuts app will be a powerful replacement for Apple’s Workflow app (and, according to one source, will be backward-compatible with most of your already-created workflows from that app). The other kind of Shortcut in iOS 12 is the kind that app developers can build into their own apps, giving Siri the hooks to incorporate deep app features into your Shortcut workflows. As you can see, the terminology is already getting confusing. If you’re running the iOS 12 beta already (and it’s surprisingly stable so far), you try out a basic set of Shortcuts today. Head to Settings > Siri & Search, and you’ll see a new Shortcuts section at the top of that page. 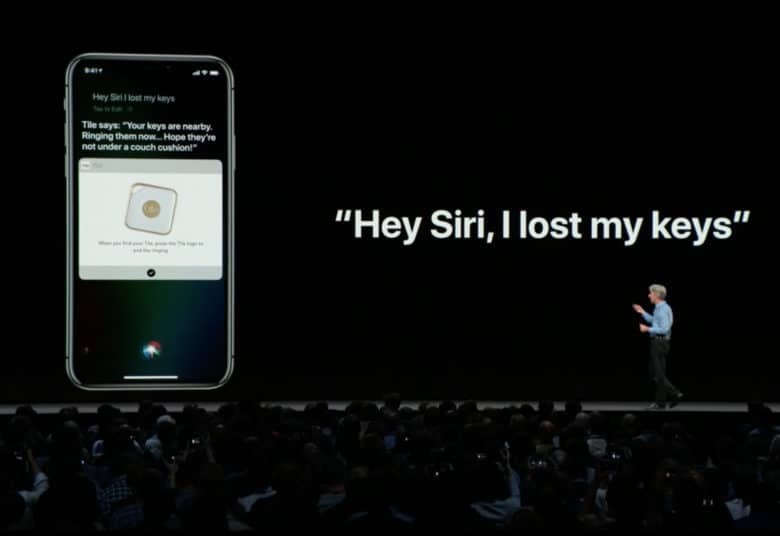 Siri Shorrtcuts can already be used, even without the app. This shows a list of suggested Shortcuts. You’ll see frequently-visited web pages, Message threads, News shortcuts, oft-opened documents, and more. There are also several system Shortcuts that tie into the Photos app, then Mail app, and so on. You can also add any workflows you have already created using the Workflow app. Add a trigger phrase to your new Shortcut. These will vary, and the best way (the only way I’ve found, so far) to make something appear on this list is to use it, and then immediately open the Siri Shortcuts page in the Settings app. To test this, I opened up my Download YouTube workflow in the Workflow app editor, and then switched to Siri Shortcuts. The Download YouTube workflow was right there in the list. When Siri inevitably mishears, you can set her right. To use one of the suggested Shortcuts, tap it, and you will be prompted to record a trigger phrase. You can re-record the phrase until Siri finally gets it right, or you can tap the Edit button to pick from several options that Siri thinks it may have heard. After that, you can run any of these Shortcuts by invoking Siri in the usual way, and then speaking your phrase. As always with this kind of thing, it’s best to start of with just a few phrases and get used to using them, before adding more. Otherwise you’ll never remember what’s what, and you’ll end up never using any of them. Siri Shortcuts really comes alive when you use it with third-party apps. More and more apps are updating every day to add Shortcuts support. And the ability to trigger your-already-existing Workflows with Siri is already a great addition. You can also summon Siri with the keyboard using Type to Siri, which effectively turns Shortcuts into an ultra-powerful automation launcher. That’s pretty badass. Editor’s note: This post was previously published on June 14, 2018, during iOS 12 beta testing. It has been updated for the public iOS 12 release.